DWL Patio Furniture carries both natural burning and propane fire pits and fire pit tables. 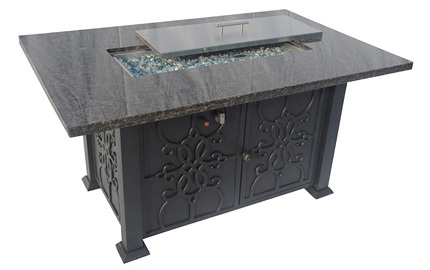 The propane powered fire pits come with 304 stainless steel burners that operate at 55,000 BTUs. The tables range in size, shape and material. The materials used can consist of cast aluminum, tile, stone, and granite. We also offer glass windshields, lids, and an assortment of fire glass. 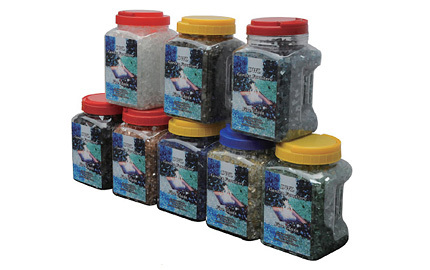 The fire glass we carry comes in different textures and a wide range of colors such as Treasure Blue or French Green.